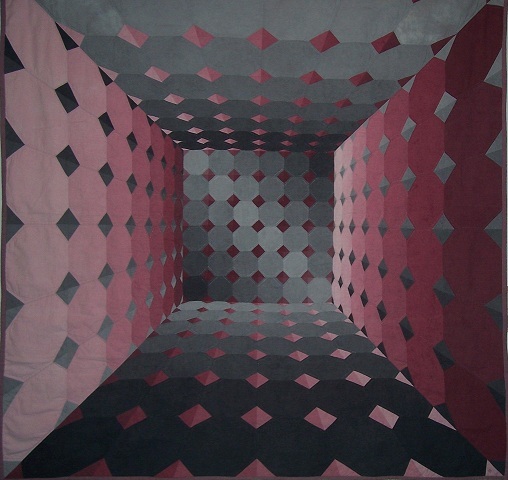 After receiving a postcard from a fellow quilter with an image by Hungarian-born French abstract artist, Victor Vasarely, I knew I had to create a quilt based on his grey and red, three-dimensional painting. This was my second multi-dimensional work, the challenge of creating the illusion of depth having particular appeal for me. The quilt was constructed using my own hand-dyed fabrics. I auditioned several colour gradations before settling on those that highlighted the design best. Machine quilted.